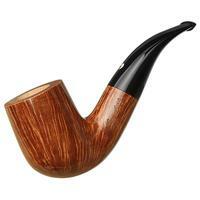 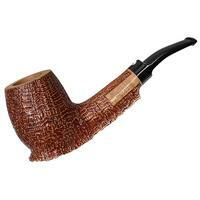 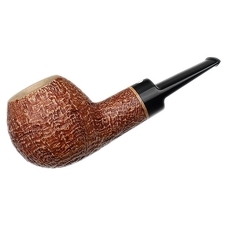 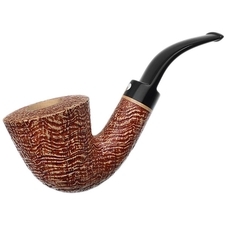 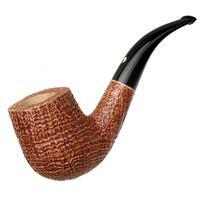 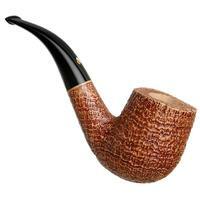 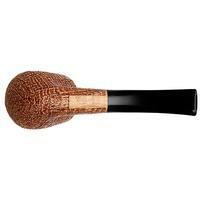 This is a Claudio Cavicchi sandblast, and therefore it is beautifully adorned with ring grain. 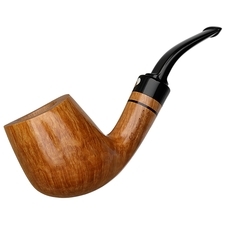 Now, strictly speaking, that may not be how the cause and effect actually follows from start to finish, but it is much briefer than going on and on about what high standards Claudio holds all of his work to. 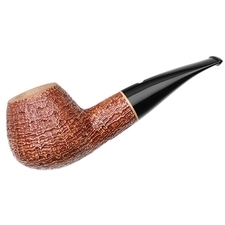 Claudio could, in theory, stamp his name on anything. 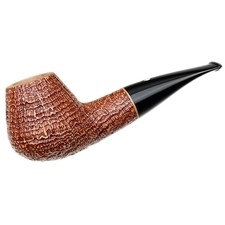 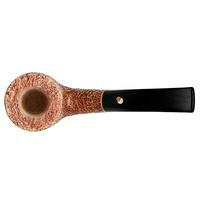 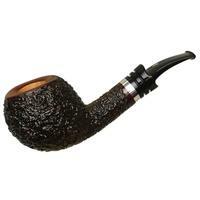 But he won't, and the results are that if a sandblasted briar does bear his name, you count on it being something like this bent Billiard: excellent. 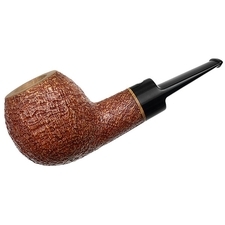 Chamber Depth: 1.86 in./47.24 mm.